» Touchless Tunnels - My Guy, Inc.
My Guy, Inc. sells and installs the best touchless tunnel systems in the industry. Touchless tunnel systems have the ability to wash more vehicles in a shorter amount of time. Here are some examples of some systems that My Guy, Inc. has worked with. Contact us for a free consultation. The AXIS™ Arch only needs five feet of tunnel length making it the perfect addition to any size tunnel car wash. You can be assured that you will clean better and more efficiently with the Axis Arch than with any other high pressure arch on the market. 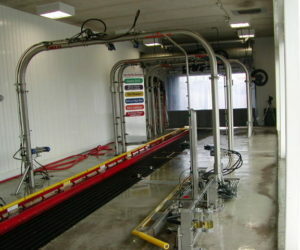 PECO Corporation manufactures a comprehensive line of conveyorized car wash equipment. 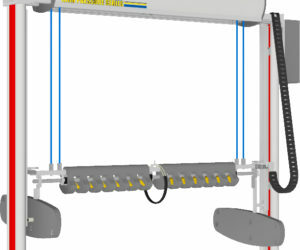 Coupled with a unique product line, PECO also utilizes a Touchless method for vehicle cleaning. The PECO Touchless Tunnel wash system cleans with high pressure providing an overall effectiveness not obtainable with many other car wash systems. Founded in 1966, PECO utilizes their service oriented background and high demand for quality items to provide the car wash industry with excellence.